At the moment, the electrical industry seems to know only one trend: the Internet of Things. It is therefore not surprising that the topic of “Smart Home” is becoming more and more important both at industrial fairs and major trade consumer fairs like CES in Las Vegas and IFA in Berlin. In the context of IFA 2017, the AV-TEST Institute awarded five manufacturers with the international security certificate “APPROVED SMART HOME PRODUCT”. 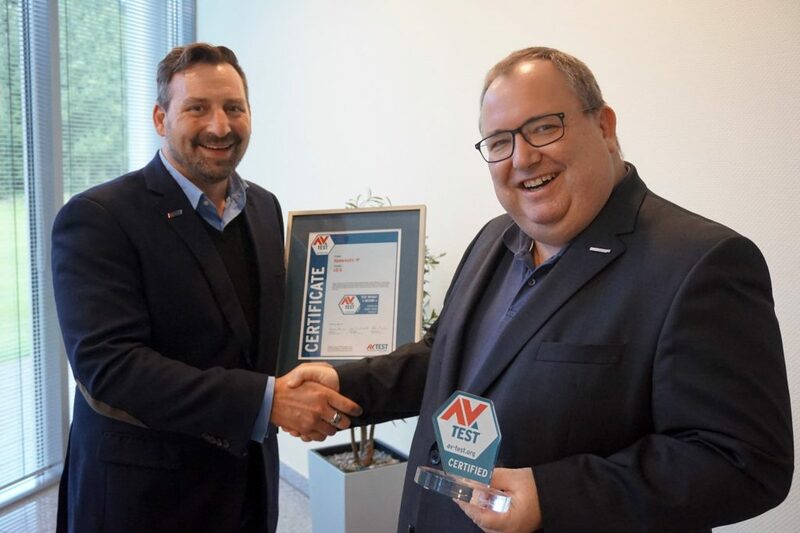 AV-TEST awards Bosch Smart Home as “Approved Smart Home Product”. Andrea Fluhr, Senior Communication Manager takes over the certificate. The digitalization of industrial production facilities as well as the networking of devices of daily life brings immense advantages. IoT products can gain real comfort, from smart light bulbs, through Smart Home bases, supported by the popular language assistants such as Amazon Alexa and Google Home. A further advantage of Smart Home products could be an increase in the security of apartments and houses. And many manufacturers, whether from Smart home Bases, IP cameras, locking and monitoring systems as well as lighting systems, are in this market for the willing customers. 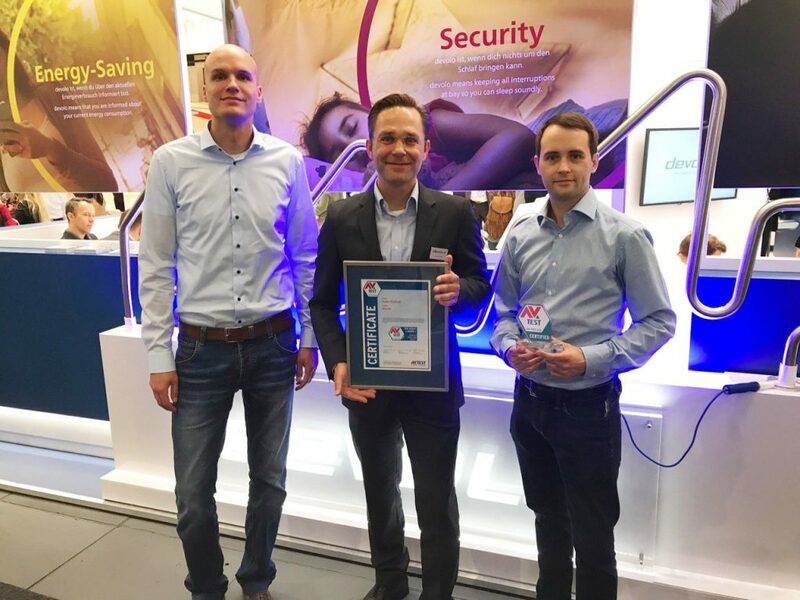 AV-TESTs CTO Maik Morgenstern and IoT Security Expert Eric Clausing awarding Devolo Home Control. Marcel Schüll, PR Manager at Devolo, gets the certificate. But unfortunately, and veryfied by lots of tests carried out regularly by AV-TEST for years, many of the products that promise security are anything but secure. A lack of authentication, unencrypted data transfer, unnecessary data collection and forwarding, lacks of security updates, and many other product deficiencies and development failures will turn the promised security into danger. Only as an example, keep a look at IP cameras, which allow attackers to spy on households via Internet rather than secure them. 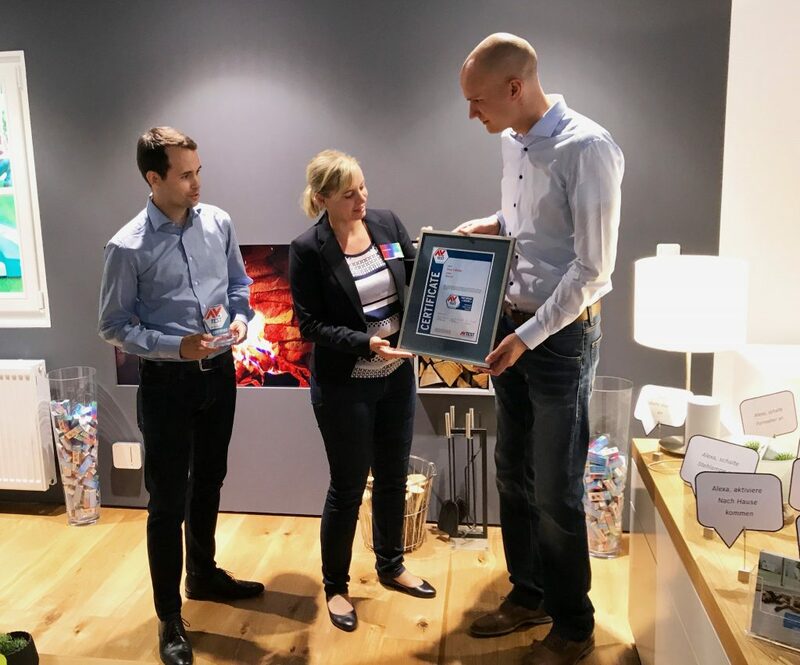 Carsten Steigleder, Senior Manager Smart Home at Deutsche Telekom, receives the certificate for the QIVICON Smart Home platform. A key factor in this vulnerable threat to customers is the lack of security in the development of devices that are connected to the Internet. Often security testing is not included in the development process, usually at best as a nice additional feature. This shows that many manufacturers have already committed serious errors in product planning right from the start at the expense of the security of their customers. At the same time, they must be burdened with the fact that the development of the smart home market is not growing as much as it would be possible due to legitimate security concerns of the customers. Charles Fränkl, CEO at Smartfrog, receives the AV-TEST certificate fort the Smartfrog IP Camera. But there is also the other side: Companies that take care of the security of their customers and therefore are already thinking and implementing Security by Design consistently in the product planning and development phase. These providers have been pursuing a clear quality strategy for years. For this purpose, their IoT products are tested and certified by independent experts. 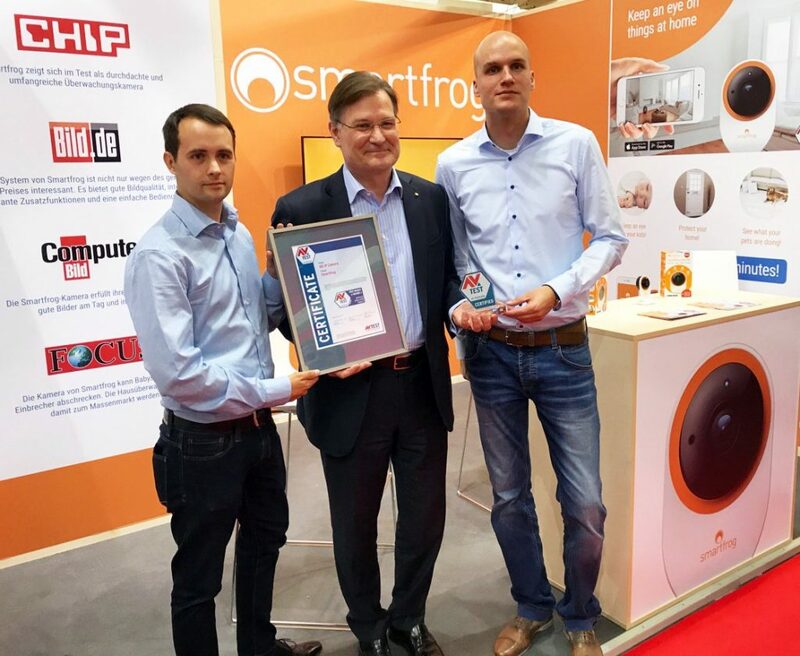 At IFA 2017 in Berlin, the IoT security experts from AV-TEST awarded five manufacturers of Smart Home products with the international certificate for Approved Smart Home Security. Congratulations to Bosch, Devolo, eQ-3, Qivicon and Smartfrog. Bernd Grohmann, Executive Vice President and CEO of eQ-3, takes the certificate for the HomeMatic IP platform from Olaf Pursche, CCO at AV-TEST. Previous article OK, Google Home. What about privacy?